Ring, ring, ring, ring, ring, ring, ring, surveillance phone. 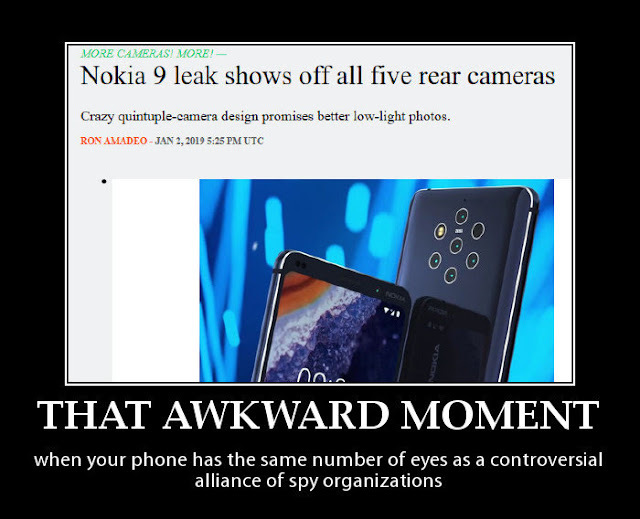 I'm sure it's just a coincidence that an object commonly criticized for being a tracking device you can make calls on (aka a cell phone) has mirrored the Intelligence Community on a number of points, including the fact that we wouldn't even know about it right now if it hadn't been for a leak. Talk about going the extra mile.... for a coincidence.